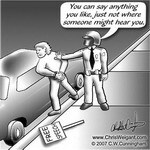 may the truth save us all, may allah bless us. Vertical Road, magical & mystical. The words & poems of my favourite Persian poet, Rumi, came alive in this dance performance, which draws inspiration from Sufism. “I died from minerality and became vegetable/and from vegitativeness I died and became animal/ I died from animality and became man/ Then why fear disappearance through death?” asks Rumi. 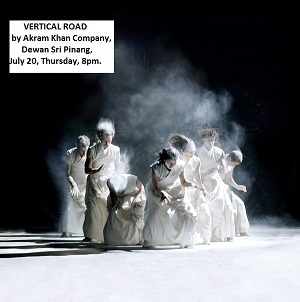 Vertical Road by Arkam Khan Company, performed @ Dewan Sri Pinang last night, was to me, 70 minutes of ‘silent meditation‘ and ‘collective consciouness‘ with about 1,200 people (full house!). It was courtesy of George Town Festival 2011, a big thanks to festival director Joe Sidek for this lovely piece. I went to the show with a journalist friend, and met others, who as always, were a bubbly and exciting group of people. I was quite fascinated with the show, it was both appealing to my senses and emotions, that the stage was set bare, with only a thin translucent screen and low lights. To me, the title ‘Vertical Road’ itself points towards the soul’s search for the meaning of life, defined ultimately by one’s higher self. To some, this is God, to others, the universe, and to many, an idea, concept, believe, faith, philosophy or cult. On planet earth, humans arrive, they linger and leave. The question remains, do they return? Are they reborn? In the dance sequence, this is protrayed by the movement of 8 dancers in light and shadows. A single performer is seen at first struggling to break through the screen. We cannot see him yet and do not know who he is. This scene reminds me so much about birth and rebirth, in a physical and metaphysical sense. We were told that all of us must somehow return from where we came from. Ashes to ashes, and dust to dust. We start by forcing ourselves through our mother’s wombs, coming out on the other side, eager to experience life, love, joy, peace, understanding, togetherness, achievement, adoration; instead we encounter death, pain, conflict, chaos, anger, separateness, failure, loss, betrayal. This madness eventually leads all of us onto a never ending journey of self-discovery. All these emotions are displayed in the powerful movement of the dancers prancing across the stage, throwing themselves into space, sometimes caught off-balanced but all the time, landing firmly on their own two feet. These bold, energetic, chaotic but expertly synchronised movements are accentuated by a great composition by famous music composer Nitin Sawhney, who uses the potent sounds of wind and water from mother nature, among others. It is obvious that the dance tells the story of a self seeking answers to the mysteries of life. One can mostly do so by searching for a higher being. But often one finds that at the end of the journey, one only encounters himself or herself. All beings would eventually face only themselves at the end of the road. It is only emptiness that will welcome you. It could be darkness or luminous. We are either prepared or unprepared. I was captivated not only by the dance moves, which to me, came across very much like some sort of deep rooted, concentrated and spiritual meditation. Like a prayer, a cry to fulfill the soul’s longings. I do not see dancers on stage, as they group and regroup, or are moved like statues by the main dancer, who attempts to fit and refit himself within the spaces of the other seven dancers. Life is very much like this. Everyday, we constantly need to position and reposition ourselves, our thoughts and our forms into the larger scheme of things. On the stage, I see instead sentient beings. I see genderless forms connecting, separating and reconnecting to themselves and their higher selves to reach their ultimate goal in life. And what might that goal be? One must search deep within one’s heart for the answer to that. In the closing part of the ritual, a single being (dancer) internalises all of his experiences, and finds himself immersed within himself, drowning. Only to find himself rising again. He faces the curtain of life, which has now become a barrier between him and the glow of the brilliant sun. Other souls, his karmic links, are seen waiting for him on the other side of the curtain. He struggles to reunite with them? But shouldn’t he just let go? Sun is life, hope. It’s bright yelllow glow, at the centre of the screen, symbolises fire, energy and warmth, and everything that leads to growth. But there can be no growth without death. He pulls the curtain to go to the other side (is it the side from which he came from?) and the curtain falls, taking us abruptly to the end of the show. To me the message is this: humans will eventually overcome all the barricades between them and their destiny. Life begins and ends quite abruptly…it has no end or beginning, so one must live – passionately and vigrously – as if today is the last day. “Next time I shall die/ bringing forth wings and feathers like angels/after that, soaring higher than angels/ what you cannot imagine/ I shall be that” – Rumi. Thought provoking dance performance, really! – enchanting, enthralling, mystical and magical. I am so blessed to have drawn lessons from it. # Posted by sloone on July 20, 2011 in ART, PERSONAL, POETICS.